Over the weekend, I was reviewing my notes and trying to figure out how to explain the common transformative aims of what has arrived in my inbox since the beginning of 2019. A quote Kenneth Boulding made in the mid-70s in his book Ecodynamics: A New Theory of Societal Evolution jumped out at me. He wanted to target the “evaluative processes of human judgment, which are the foundations of decision-making,” just like UNESCO announced in May 2018 was to be their goal for K-12 education. http://invisibleserfscollar.com/facing-the-fold-to-overcome-the-prisons-of-our-minds-and-thus-transform-the-future/ laid out how to change images of the future and anticipatory assumptions and fits with what Boulding hoped for decades before. Now what if a planner with desires for fundamental transformations could control what “patterns are seen in this past record” by making learning conceptual, instead of factual? Couldn’t that planner and any learning standards created to internalize the desired pattern perception actually control people’s desired images of the future? That’s the plan anyway as an October 1991 article called “Ten Ways to Integrate Curriculum” made clear. It talked about using Concepts, Topics, and Categories so that eventually “The disciplines become part of the learner’s lens of expertise; the learner filters all content through this lens and becomes immersed in his or her experiences.” Some autonomy, huh? See why it mattered in the last post if the explicit instruction is to impart conceptual lenses, instead of imparting facts? Who will then recognize if the concepts are inapt and the provided example is false? Before we talk about the social and emotional learning emphasis of this contrived web of perception and interpretation as laid out in http://nationathope.org/report-from-the-nation/ that came out in January from the Aspen NCSEAD we have covered repeatedly, I want to pull up a January 1998 speech Martin Seligman (of IPEN and Positive Neuroscience among others) gave upon assuming the Presidency of the APA. Several of the people mentioned in the speech titled “Building human strength: psychology’s forgotten mission” are also involved with that Nation of Hope report and its supporting documents. https://nonopp.com/ar/Psicologia/00/pres.htm wants to “create a science of human strength…focused on systematically promoting the competence of individuals.” That science’s goal and the new role of education will be to “foster these virtues in young people” as likely buffers against mental illness: courage, optimism, interpersonal skill, work ethic, hope, honesty and perseverance. One of the supporting papers from that Nation at Hope vision can be found here https://www.rwjf.org/content/dam/farm/reports/issue_briefs/2018/rwjf450542 from December 2018 and it is also tied to both that 1998 APA speech as well as the Nation at Hope NCSEAD vision. Its cover gives a nice concise definition of social and emotional learning (SEL) that fits with Boulding’s, Seligman’s, and now the NCSEAD plans for evolutionary education to a new kind of mind and decision-making processes. SEL is defined as the process through which children and adults acquire and effectively apply the knowledge, attitudes, and skills necessary to understand and manage emotions, set and achieve positive goals, feel and show empathy for others, establish and maintain positive relationships, and make responsible decisions. Right on cue, we had an essay by a Maryland State Education Board member and ed consultant Andy Smarick, with ties to a number of supposedly conservative or libertarian think tanks https://www.thepublicdiscourse.com/2019/01/48003/ pushing for a vision he called Capacitating Conservatism which would see “policy as a tool for re-empowering individuals and their mediating institutions so that they can re-instill beliefs and practices that have atrophied.” If what is to be instilled has to live behind deceit about the true ed reform agenda and how learning standards really work, it’s not actually Conservative. That’s simply a label to gain implementation and support without opposition. Human Flourishing as a goal does not come from deceitful, False Narratives of the kind we keep encountering. Yet if the Civil Society emphasis of that article’s author fits with A Nation at Hope‘s rhetoric about “effective education involves values, healthy attitudes, social skills, and a commitment to the betterment of the community,” we have a Convergence by think tanks around a common vision for education that is not being shared as they fundraise. If a Classical School’s Pillars of Excellence or a charter school network’s Due North Moral Compass also illustrate what A Nation at Hope envisions as “working to transform schools into places that foster empathy, respect, self-mastery, character, creativity, collaboration, civic engagement and–on the strength of these values-academic excellence. They are encouraging communities to embrace the ambition, compassion, and rigor of social, emotional, and academic education,” assertions begin to make more sense. The ones that help you think, relate, and act responsibly. What if we could help our children develop that same set of skills in school? We know more than ever about what it takes for optimal learning; now is the time to put that knowledge into practice for all children everywhere. Is the focus on Equity then, really about Fairness and Justice for All? Or is it a slogan that lets How We Think become a basis for prescription, monitoring, and adjustment for purposes of political change? The latter can be called ‘public policy’ as a euphemism and pitched instead as the “lessons, beliefs, and norms that make a free society succeed.” After all, how many students and adults grounded in supplied concepts, categories, and topics, coupled to contrived learning experiences to instill the desired Attributes, will recognize factually what free societies really had in common historically? If we do, in fact, have an unacknowledged Convergence now globally around education the following quote makes more sense as it talks about the shared vision. In Every Collective Human Endeavor There Comes a Moment–a moment when we know so much more about what we ought to do. A moment when multiple voices and perspectives coalesce around a shared vision. A moment when, together, we can make the possible real. In education, that moment is now. I think the moment is now too, which is why it is so important to decipher the actual shared vision that is intended to transform us and our children. Professors Boulding and Seligman were honest about their intentions of transformation using education. The purposes of an Integrated Curriculum and an SEL focus are also crystal clear. If a Clarion Call is sounding, we darn well better understand accurately what we are being called to do, be, and become. Let’s continue to pierce through the veils of deceit surrounding education globally, especially K-12, and not be distracted by the ‘Look, Squirrel!’ claims that would have us voluntarily drinking poison while we are being told it will invigorate us. UNESCO does have a means of controlling what goes on in education systems all over the world. They have created standards and ‘learning objectives’ and detailed summaries of how everything is to work to change students at the levels of their minds. Their motto is that’s where wars begin and thus it is the target for creating a different kind of future. Those standards were created in the 1970s, revised again in 1997, and redone finally in 2011. Those 2011 revisions went into effect in 2014 and the OECD, with its PISA assessment and others, is an explicit partner. So when someone tells us that the Common Core is not in fact ‘internationally benchmarked’ they are either mistaken or lying. Since UNESCO stated pointblank back in May it intended to target “human decision-making” by tracking and altering images of the future and the AA–anticipatory assumptions–people are using to create those images, let’s see what else Professor Boulding laid out: “the greatest human task is to realize the potential of the human species for bringing the unconscious processes of human life and history into consciousness and so be able to direct these processes with increasing skill toward human betterment.” There is indeed direction going on and all the references now to True Norths and moral compasses should be a clue, but learning standards like the Common Core take that direction away from the individuals involved. When we assess what students will do in a ‘wicked problem situation’ where there is no correct answer or the problem provided is untaught material, we are looking for the conceptual systems and categories of thought the students decide to use to examine the context. That’s another way of saying ‘what are their anticipatory assumptions?’, which is exactly what UNESCO wants to control. It’s also what the federal education law in the US–ESSA–now requires all states to examine at least annually in at least 95% of their students. No exceptions whatever the states wish. This Higher Order Thinking Skills mandate makes more sense when we are aware it is not factual knowledge being tested. I boldfaced resilience there as it has become such a ubiquitous buzzword. Lest anyone think this is just flowery language with no ability to get to the classroom we have direct links to that MyWays Success Framework from two posts ago, CASEL of social and emotional learning fame, and the History Matters Frameworks. Buried in the collateral documents before the e-book is the fact that the Rockefeller Foundation sponsored this initiative starting in 2012 to push Futures Literacy and in 2014 held a Convening at their fabulous Bellagio retreat on Lake Como. About a year apart from when the UNESCO-Brookings Learning Metrics Task Force met at the same place to lay out desired competencies. It’s also where what would become the Club of Rome with its plans for media and education (covered in CtD) began in 1968. Tony MacKay was there and he heads GELP–Global Education Leaders Programme that the Next Generation Learning Challenges here in the US is a part of. He also works for the International Benchmarking program of the National Center for Education and the Economy (NCEE) that created the New Standards Project that began the era of learning standards in the US. In other words, this UNESCO program has its way in when learner data and learning analytics are properly understood. Probably why there’s been another veil of deceit around that. Let’s close this missive with another paper cited in that e-book–“Facing the Fold or From the Eclipse of Utopia to the Restoration of Hope” by Jay Olgilvy. I guess a logical, well-stocked mind that retains individual ways of thinking is less likely to adopt the desired new ways of thinking and begin behaving as this political process desires. No wonder we have so much deceit about what was and is going on in the name of learning standards and competencies. Where ever you are this next week when we in the US celebrate our historic freedom from tyranny, enjoy yourself as we continue our piercing through these veils of deceit before the required implementation this fall. Accurate information is always a necessary component of genuine human freedom. Now don’t visualize Failsafe in the sense of Peter Sellers in Dr Strangelove unless those graphics help with a proper sense of urgency at what we are facing in the name of ‘education’ for ‘our children.’ I actually am using failsafe in the dictionary meaning of “compensating automatically and safely for a failure, as of a mechanism or power source.” I would add people as well as we can adjust ourselves to thwart the reality of what is happening unless the offered narrative is false. Our ability to adjust our outrage is also offline if education has been changed to deliberately manipulate our emotions so certain responses and likely interpretations are neurally locked in in advance. In the recent ACES post, I finished by saying we would turn to emotions and here we are. Carefully documenting the media manipulation and the parts of the story being ably omitted lest we become informed and outraged. If anyone thinks it is conspiratorial to imagine active coordination around deceit, last week the National PTA in a letter to fed ED on regulations on required parental engagement under ESSA, requested the use of “Leading by Convening: A Blueprint for Authentic Engagement.” http://www.ideapartnership.org/documents/NovUploads/Blueprint%20USB/NASDSE%20Leading%20by%20Convening%20Book.pdf That way parents could be Delphied into useful beliefs about what ESSA does that have actually nothing to do with its mandates or shifts. Remember sociologist Anthony Giddens telling us that behavioral scientists know that what guides and motivates behavior is not what is actually true, but what is personally and emotionally believed to be true? Let’s take a look at the organized media juggernaut on hyping emotion as the key to learning. On April 27, 2016 Education Week wrote a story called “Emotions Help Steer Students’ Learning, Studies Find: Scholar sees passion as mind’s rudder” which hyped the work of Mary Helen Immordino-Yang and her new book Emotions, Learning, and the Brain. Here’s the lead quote that should probably be read with a reminder that one of the definitions of using cybernetics in education is to create a steerable keel with a student’s mind and personality. One that is locked in neurally that the student is largely unaware of. How did I ever pass the bar exam without this kind of instruction? Now before we get back to what else is being left out, let me assure you I have the 1979 book created from the February 1977 symposium titled “Toward the Human Use of Human Beings: A Cybernetic Approach to the Assessment of Children” held in Denver. I may be able to recognize a cybernetic focus by how it functions, but that is no where close to the end of my proof. I also have open declarations on this “interdisciplinary attempt to apply the principles of cybernetics, the science of control and communication, to certain issues of child development” via American education and needed reforms. Also in my library of research for the sequel to Credentialed to Destroy was a 1994 book by a USC neurobiologist, Antonio Damasio, called Descartes’ Error: Emotion, Reason, and the Human Brain. Query: do Immordano-Yang and Damasio work together? Just imagine if the writers of these hyping articles had mentioned that Prof I-Y wrote the journal for the International Mind, Body, and Education Society (IMBES) I have alarmingly covered. What if the Brain Creativity Institute is involved in all this sudden BRAIN Initiative NSF and NIH gushes of federal money? Just a little digging an up came this joint published article “We Feel, Therefore We Learn: The Relevance of Affective and Social Neuroscience to Education” from 2007. I always want to insert ‘comrade’ as an adjective in front of that kind of vision of the purpose of education to be a ‘citizen,’ but then gallows humor is a part of how I deal with all the open declarations I uncover. The GSV San Diego conference did not just tout the increased annual spending for the BRAIN Initiative. It also called explicitly for the Acceleration of Ideas that Address the Integration of Mind, Body, and Soul.” Sounds like values and emotions are to be neurally integrated via K-12 education practices is required federal policy and investors want to pile into tech companies with a means to do just that. Still all omitted from the official narrative unless we monitor these meetings and recognize co-partners of who is being officially touted. Just the thing, in other words, to be the openly declared object of required education practices and declared federal research priorities that then get deceitfully explained or not covered at all when talking to students and their parents. Damasio’s book laid out use of emotion to create what he called somatic markers and even italicized. Nary a mention though in either those Times or Ed Week stories. Now what happens when these carefully cultivated, emotionally-laden, nonconscious somatic markers neurally embedded and part of what is being assessed as Higher Order Thinking Skills and Understanding or Meaningful Learning was created to quietly acheive the declared goals of affirming ” a new level of being in which one can invent new artifacts and forge more just ways of existing”? All of this psychological and neuroscience research is being forced into required educational practices and no one is accurately telling us unless we dig as I do. Then we get to discover that those ‘secondary emotions’ being carefully hyped and manipulated are “those emotions and feelings [that] have been connected, by learning, to predicted future outcomes of certain scenarios.” Those were professor Damasio’s italics for emphasis in his book. Can the student know the future? No but they are being trained with Guiding Fictions ‘as if’ certain possibilities could be made true. Then the tasks are repeated until the emotionally-embued perception becomes a nonconscious Habit of Mind. Gives a whole new conception as to choice about what is ‘received and acquired’, doesn’t it? Does ‘student-centered learning’ that is relevant and engaging still seem like a good goal to be blindly implementing for ALL students? Now, shouldn’t that aim be accurately understood and not simply rolled into standards, pedagogy, and practices like Project-Based Learning or formative assessment via virtual reality gaming? Now the author of that quote, who also saw people as merely the steerable “individual elements of a complex system” went on to state a view of education and its new transformative aims at a neural level that we must pay attention to if we are to have any hope of avoiding the “leveling the playing field” plans for us. Seriously that is a quote from the Global Silicon Valley ed tech investment bankers and their 2020 Vision: A History of the Future publication that coincided with their well-attended summit in San Diego a few weeks ago. They even paid a stipend to make sure leaders from all the Congressionally sanctioned and White House favorite League of Innovative Schools districts were all in attendance. Productive to whose benefit is a fair question, but let’s go back to the “A New Logic of Human Studies” essay from 1988 that our title and the Marxian quote above came from where Frederick Turner said “our hardwiring–whose proper development we neglect in our education at great peril–is designed to make us infinitely inventive.” Inventive as in not bound by what has worked well in the past and with the “Rethinking of Patterns of Knowledge” emphasis, no likely knowledge of what has factually led to the great nightmares of history when political power had no check on what it could force people to do. If that seems melodramatic, my tiptoeing through the cited footnotes regularly forces me to encounter passages like how transformative social and political theories always also need new concepts, ideas, and categories to mentally guide perception in desired ways. Then I see the shout out to someone notorious like a Marx or a Hegel and then I get to see the same concepts whitewashed and introduced as Understandings of Consequence that must have applications to the real world. The philosophers will write about the need to ‘control meaning’ so that ” a rational consensus on the part of citizens concerning the practical control of their destiny” can be ‘attained.’ The educators simply take the same aims and goals and enact it blindly and under coercion of job loss in the name of authentic learning and a New Civics. If that vision sounds like it has the makings for the very type of straddling called for in Rethinking Patterns of Knowledge, there’s more even beyond a conclusion calling for “evidence-based interventions that support deeper learning in contexts that further equity goals.” The report list three pillars for this new system states and local districts are to create and one of them is the undefined term–‘meaningful learning.’ Except it was not undefined to me because I knew it was a term tied to cognitive scientist Joseph Novak who helped develop all the theories of concept mapping and internalized mental models in the first place. Remember the useful partner to transformed values laid out above? Meaningful Learning is actually a global phrase for Novak’s transformative theory of education he has been writing about since the 60s. This article from Brazil http://www.if.ufrgs.br/asr/artigos/Artigo_ID7/v1_n2_a2011.pdf explains that “Meaningful Learning underlies the Constructive Integration of Thinking, Feeling, and Acting Leading to Empowerment for Commitment and Responsibility.” How’s that for the desired straddle? And conveniently locked into the legal obligation under federal and state laws as a new concept of accountability where no one is likely to notice the true nature of the required shift. Who would ever track this all back to being a Marxian Maker of History other than Robin who reads too much (and who notices even more) now that we are so fully on the right track. How useful is this to seeing people as goal-seeking systems who can be redesigned at a neural level as needed for the hoped-for transformation? That paper was presented at Porto Allegre, which is known as the city that first developed the concept of ‘participatory budgeting.’ That’s the idea that the poor and various ethnic groups have a stake and the right to a say in determining how much, and for what, government budgets are to be spent. Just this morning one of my newsletters wrote about how participatory budgeting is catching on at the local levels of cities in the US as a means to promote Equity. That cognitive structure and what education can do to alter it is precisely what the US federal government admits it is now spending $500 million per year to map for the purposes of Equity and leveling the playing field via education. In the next post I will cover the ‘affective’ component of meaningful learning using numerous examples from just the last few weeks. With a few trips back in time of course so we can have an accurate narrative of what is being attempted here instead of the Faux Narrative the Powers-that-Be had planned for us to simply accept. Please try not to get whiplash as we move back and forth through the decades. Just this week the OECD conceded openly that instead of focusing on structures and incentives, which both traditional government approaches and New Public Management theory (arose in the 1980s and 90s and tied to what is also called the Third Way) “are prone to do, it is more important and fruitful to focus on the type of individuals, particularly their competences and skills, which are populating these governance structures.” Explains so much, doesn’t it? That’s why education now targets what the Paris-based Futuribles initiative funded by the Ford Foundation in the early 60s called the ‘inner self’. http://oecdeducationtoday.blogspot.com/2016/04/governing-complex-education-systems.html is the truly stunning confessional document on ‘steering’ people and places to fit with desired theories of change in the “socials sciences, it [complexity theory, which the OECD itself states is akin to the Dynamic Systems Theory fiction we met in the last post] offers a metaphor, or a lens, through which we might better understand what it takes to initiate and sustain systemic change.” All of our recent encounters with various members of the Atlas Network and their frequent teaming now with either the Brookings Institute or Center for American Progress makes much more sense when we recognize that the official OECD position on how to achieve “socio-historical change in human society” is through “policy making” and changes in consciousness. This is also why it matters so much that, unbeknownst to us, the behavioral sciences have been thoroughly embedded in education ‘reforms.’ They now define students as ‘goal-seeking systems’ as Boulding laid it out. Competency-based education and ‘evidence-based policy in education’ are simply the newest obscuring euphemisms for what the Futuribles contemplated as the way to use education to ensure that the “social sciences should orient themselves toward the future.” Futuribles wanted “to instigate or stimulate efforts of social and especially political forecasting.” It would be based on using the human imagination, unrestrained by fact-based moorings to the present or the past, to speculate on different futures and then to motivate personal action to make it so. Quoting Destutt de Tracy who was declared to have “said very well: ‘It is the constant march of the human mind. First it acts, then it reflects on what is has done, and by so doing learns to do it still better. '” That’s the theory of education being espoused now when we hear a Principal or Super declare that a school or district no longer embraces a ‘deficit view of the child.’ For any readers who are unaware, the same Ford Foundation funding the Futuribles research organization and the translation of The Art of Conjecture into English in 1967 also financed the creation of our often-encountered Center for Advanced Studies in the Behavioral Sciences in the 50s. That would also be the place where Kenneth Boulding and others created systems theory. A chapter of that book is called “The Project” and seeks to use mental images “that do not represent any reality past or present” to become a person’s goals for acting in the future. Here is the vision for the Project (italics in original). “Any power, whether social or political, is maintained by people’s attitudes; any project, short or long, shallow or profound, is founded on their attitudes and behavior. Now each of us is capable of changing his attitude and behavior…Concerning the individuals of a society, we cannot doubt that they have received a code of behavior from their family and from society, that they are subject to pressure from their fellow men, and that they are pushed into particular roles. But we also know that they are able to form and pursue projects. And each project is the germ of a shoot which may or may not be propitious for the maintenance of the general form of the society. Lesage once made use of a Lame Demon who unroofed houses to reveal what was going on inside. Let us suppose that this diable boiteux could reveal people’s minds in the same way, enabling us to surprise the projects each member of society forms in his inner self. And I would add that this is the subject that has preoccupied all so-called K-12 education reforms globally from the 60s forward under a variety of names. It absolutely is the lodestar of what is mandated under ESSA and what practices are required to merit federal funding and expansion of charter schools. It also is what drives the social and economic steering visions laid out in that graphic OECD report that is part of its New Approaches to Economic Challenges(NAEC) initiative. Given that the acknowledged target of all these education reforms is the inner self, which is why I bolded it, we should read carefully that a key component to “building the systemic capacity of the government to improve policy design, steering, and implementation” is Trust. Not the desired changes you or I might seek, but the changes desired by political and economic power to secure the futures they seek. DST from the last post, and complexity theory to the OECD oligarchs and their allies, is “first and last, about reaching critical mass among the diverse range of factors, elements and agents that constitute a particular environment.” In other words, complexity theory sounds more scientific that simply citing to the infamous Uncle Karl, but still allows political power to guide the so-called Scientific Management of Society he and the USSR dreamed of. Instead of openly decreeing the institution of his Human Development Society that is also known as little ‘c’ communism to political theorists, we get the same ends approached through ‘complexity theory.’ We are all to still be the Governed with our inner selves measured and manipulated as “new properties and behaviors in the education system, emerges from the interaction of a myriad factors in the economic, political, social, and cultural environments in which education is situated.” Those would be the same environments currently targeted for steering via legislation that starts with Congress and the federal agencies and goes straight through to all of our local communities. All targeted for steering in the 21st Century. If this sounds like we are to have sovereigns and be ruled, like it or not, the OECD paper actually used that word when it stated that “complex societies cannot be ruled rationally from one centre, if only because the amount of information that needs to be processed to make that possible far outstrips what any central government can achieve.” I guess that means that we are guided by oligarchs who believe there is nothing wrong with ruling per se. Governance is just a matter of finding better methods, starting again with that inner self. 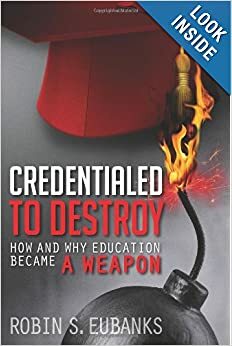 If governance in the 21st century and the Levers of History really have decreed the Inner Self as the key to sustainable change, it certainly does explain why there has been so much deceit surrounding what is really going on in education. “We are creating the citizens who will be amenable to being governed” is certainly not why we send our kids to school and pay all the taxes that support this industry. Frankly admitting that the true global aim after the Fall of the Berlin Wall was that “Power has moved away from central governments in different directions: upwards, toward international organizations, sideways to private institutions and non-governmental organizations, and downwards toward local governments and public enterprises such as schools and hospitals” would have each of us reexamining the load of deceit doled out by politicians of both parties over the last thirty years. Mustn’t have us accurately reexamining the provided narrative of the past. History, after all, is now about imagining what the future could be and what must be done to act to achieve those goals. The beauty of theorizing that we are all now just goal-setting systems and subject to manipulation by political power.